To serve as an example, I’ll use Shakespeare’s Romeo and Juliet, a story that many adults worldwide are familiar with. Mirrors reveal life. Stories are mirrors that imitate life. They focus on particular moments that reveal people at their worst and at their best. The story must imitate life. Stories improve when people behave as they reasonably would, even in fantastical scenarios and settings. Mythical tropes should follow that trope or explain clearly the reason for any change. Vampires who sparkle in daylight would be more logical if the reason they can enter sunlight (even the dulled sun of the Pacific Northwest in rainy season) is their “vegetarianism”. To most adults looking back at the story, Romeo and Juliet couldn’t possibly happen, yet the daily news provides us constant modern examples. Updates to the tragedy of the Montagues and the Capulets place the story in a conflict of ethnicity (West Side Story) or religion (the Israeli / Palestinian conflict) or economic disparity (Atonement). Shakespeare builds his families as similar, “both alike in dignity” (Prologue to Act I) and provides additional clues that they are focused on monetary gain (“Whoever marries her will have the chinks”, I). The original event may have been a business deal gone wrong. Whatever the inciting event, conflict between the two families can occur and still does. People gossip about such fights all the time. Are the primary characters imitations of life? Juliet is the young obedient daughter who finally encounters someone she wants more than she wants to be obedient. She and Romeo speak the same language. Look at their conversation as they dance: they speak of prayer and pilgrims and holy kisses. 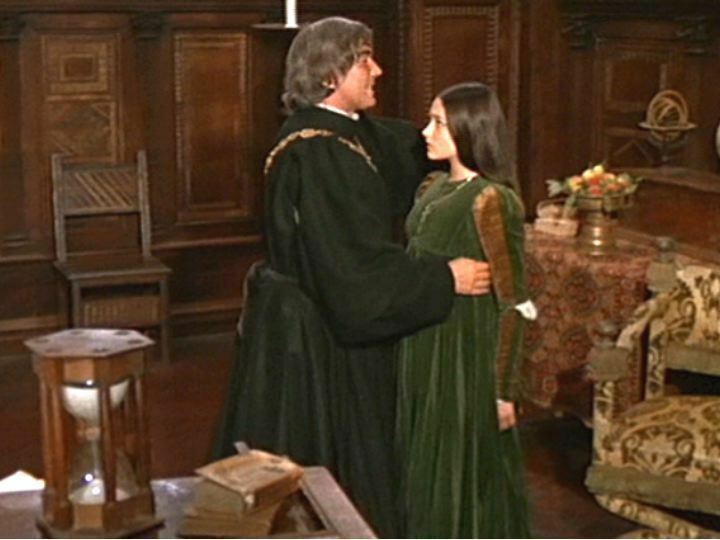 In the balcony scene, Juliet admits this love is “too rash, too unadvised, too sudden. / Too like the lightning which doth cease to be / Ere one can say ‘it lightens’.” (II). She’s applying logic to love, yet love isn’t logical. Romeo is a little older than Juliet, yet not much more. He’s enough in the world that he recognizes how rare their connection is. Beauty alone does not attract him; their conversation while dancing proves their compatibility. He understands he’s courting danger, yet like Juliet he has encountered someone worth the risk. Like any young man, he wants his cake, so he moves ahead with the marriage plans. Both young lovers have extreme reactions to a banishment intended as mercy. Both contemplate suicide. This is typical of teen-aged thinking. No one has ever felt this way before. They are unique. Doing something secretly adds to the excitement. Waiting and patience aren’t in their daily lexicon. The world ends when they can’t get what they want. Separation is like death. Conflict with parents (and others) is to be avoided at all cost. Barriers require extreme measures to overcome. While a seasoned person will find a way around any barricade and accept the conflict as necessary to achieve a great goal, teenagers cry doom and die. Yes, indeed, Shakespeare has appropriately imitated the teen-aged thought processes. In ancient Greek, this word means “falling around”, and it represents the unexpected reversal or the sudden change in circumstance :: irony. Life is filled with ironies. A story will not have mimesis if it limits ironic circumstances. Verbal: saying one thing while meaning another, with the Southernism “Bless her heart” as an example when the exact opposite is meant. “Don’t you look pretty”, when an ink mark crosses the face, is an obvious example. Sarcasm is not an exact synonym of Verbal Irony; the heavy mockery of sarcasm is intended to ridicule. Situational Irony: The already married Juliet agrees to marry Count Paris only to have her father move the proposed wedding up, a consequence she did not intend. coincidence. Just married and anticipating only good things, Romeo in ten short minutes causes the death of his best friend Mercutio and deliberately murders Tybalt. These events are the unintended and unexpected conclusion to Tybalt’s challenge of Romeo (III). Juliet tries to return to her father’s good will by saying she will obey him only to have him move up her marriage to Count Paris (IV). Dramatic: In this irony, the audience knows information that the characters do not. The audience sees Juliet’s mother approaching as the two newlyweds say goodbye (III). We know that Juliet is not really death while Romeo does not and commits suicide in his grief (V). Hamartia is the fatal flaw leading to the protagonist’s downfall. Most modern character development templates mention a character’s weakness. Indiana Jones’ fear of snakes is legendary. Raiders of the Lost Ark uses this fear effectively. We are introduced to it early, with the snake in the seat of the airplane as it takes off from the river in the South American jungle. That fear becomes suspenseful when Indy encounters the hundreds of snakes in the Egyptian tomb. Fear, however, is insufficient as a fatal flaw. A fatal flaw for a character is a mistaken way of thinking. Harry Potter in J.K. Rowlings’ series invariably thinks that he can handle a problem by himself. Time and time again he discovers that he needs Hermione and Ron. Romeo’s fatal flaw is his violent emotions. His love is too extreme: he cannot contemplate life without Juliet. Romeo’s plans are extreme: rather than enlisting Prince Escalus as the mediator of a marriage that can end the feud, Romeo plots a secret marriage. His anger is also too extreme: he murders Tybalt when just 15 minutes prior he was refusing to accept a challenge to a duel. Juliet’s fatal flaw is her dependence on others. She is the obedient daughter, wholly dependent on her parents. She falls in with their plans for her future until she meets Romeo. Juliet is then dependent on Romeo’s plan for their marriage. Finally, she is dependent on Friar Lawrence’s plan to avoid her coming marriage to Count Paris. A special kind of hamartia is hubris. In ancient Greece, this was the pride that challenges fate or the gods or circumstance. Hubris occurs when someone believes that they can do no wrong; they are of a standing equal to the gods. Not all hamartia is hubris, but all hubris is hamartia. Part of the reason Aristotle insists on hubris in a tragedy is his belief that a tragic hero must fall from a great height. With most genres, the protagonist will have weaknesses and even tainting secrets yet lack hubris. However, the antagonist or other characters can certainly have weaknesses, secrets, and hubris. Romeo kills Tybalt and then realizes “I am Fortune’s fool.” A plaything of Fate, he claims, yet he premeditated Tybalt’s death. Romeo says, right before his marriage to Juliet, “Love-devouring death do what he dare; it is enough I may but call her mine.” Of course, an hour later, after Mercutio and Tybalt are dead, he realizes, “I am fortune’s fool!” (III i). He dared Death; Death took the dare and came out the winner. The protagonist may have arrogance (hubris) in thinking an extreme danger (to a relationship, to a community, in personal advancement) will not happen to them. Or s/he will be blind to circumstances (hamartia) that create the extreme danger. That great height from which a character falls increase the catastrophe. The disaster must be one from which no recovery seems possible. In modern fiction, with its triumph over the conflict, an ordeal is necessary. The only difference between Oedipus or Macbeth with a modern protagonist is. . .well, there is no real difference when you think about it. Romeo’s banishment does not seem like a horrible event. After all, Prince Escalus showed mercy; he could have executed Romeo as he had decreed he would execute the next fighters. However, both Romeo and Juliet consider banishment as equal to death, and they threaten suicide. 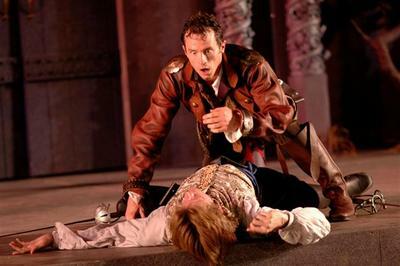 Juliet’s (supposed) death becomes a suicidal catastrophe for Romeo. As soon as he hears about it, he schemes a method to kill himself. His suicide upon Juliet’s moment of awakening becomes her catastrophe. Romeo and Juliet is often classified as a pathetic tragedy. The play receives this criticism since neither protagonist bring about their doom. They are driven to their deaths more by the ticking of a clock than by their own actions. Yet Shakespeare has created two juveniles who consider no other recourse for their love except an extreme one. He has carefully created the “violent delights” which lead to their “violent ends”. Then Shakespeare takes his catastrophe one step further. Romeo’s banishment and subsequent suicide lead to the death of his mother; only his father remains alive, and the name and house will die with him. Juliet’s family is in a similar case, for the cousin Tybalt is now dead and her father is played as an old man, broken by the end of the play, with little more to drive him forward. Prince Escalus’ relative, Count Paris, is also dead. The feud between the two families has caused widespread disaster. Only Benvolio is absent at the end of the play. Did he travel to Mantua with Romeo and was left behind when Romeo returned to Verona? Did he succumb to infection from the wound he received in the opening street fight between the Montagues and the Capulets? The audience is given no clues. Benvolio is gone—just as the two families are now gone. Simply defined, catharsis is purging, cleansing. In story, it requires more than an emotional, heart-wrenching end. It must contain an intellectual acceptance by the audience, or the story has not achieved its purpose. The Latin poet Horace, centuries after Aristotle, redefined the closing purpose of catharsis as “dulce et utile”, sweetness and usefulness. The story should be sweet entertainment even as it presents useful enlightenment. We the audience and readers need to know that the suffering we endured with the characters had purpose. Purpose creates investment by the audience into our characters. Using dulce et utile deepens the story. With peripeteia¸ writers examine how the world turns against their main character. Hubris seeds a doom of the protagonist’s own making, even though s/he may not see that doom approaching. William Shakespeare is a genius. He never tells a simple story, yet his stories are incredibly simple. Intervene on Time; don’t hesitate. 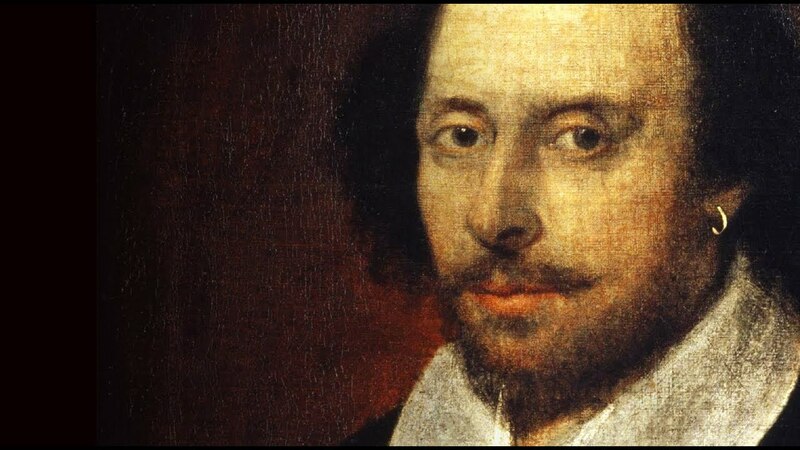 Since we understand these lessons, we can accept the deaths in Shakespeare’s tragedy: Romeo, Juliet, Mercutio, Tybalt, Lady Montague, and Count Paris. Six dead. While Aristotle focused on tragedy, most modern fiction aims for a successful culmination of the conflict. Literary fiction is distinguished from genre fiction by that single word successful. Yet even in non-tragic literary fiction, life as it was may be destroyed to allow a new birth of hope for the future. Without catastrophe and catharsis, the protagonist of hopeful literary fiction will not achieve their climb from disaster. 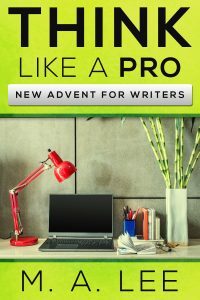 Genre writers will discover that these five essentials still fit their mysteries or action-adventures or romances. A character fulfilling his destiny will face these five and overcome them, achieving the desired goal and being transformed in the journey. Keep Aristotle’s 5 Essentials at the forefront as you develop your primary characters and place them in your selected plot method.